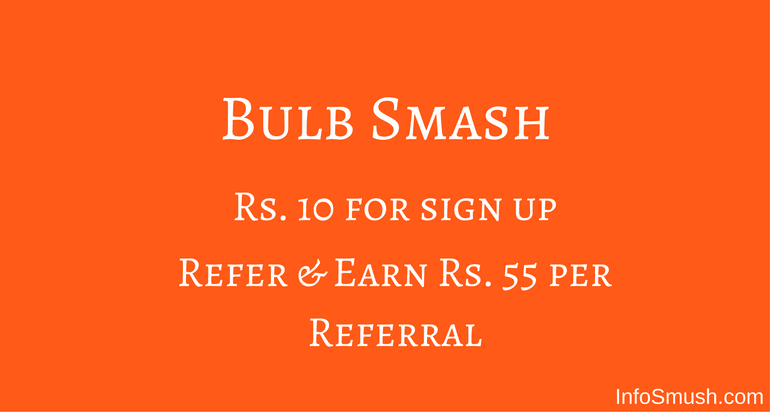 Bulb Smash is a great time killer game which also pays you Paytm cash for sign up and referring more users. You will earn Rs. 10 Paytm cash as sign up bonus and you can earn up to Rs. 55 per referral. First, you need to download Bulb Smash from this link. Now, you have your sign up bonus. As I said earlier you can also earn Rs, 55 Paytm cash by referring more users to Bulb Smash. You will get Rs. 5 when your referral registers with Facebook. 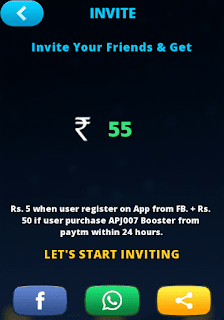 And another Rs.50 if user purchases APJ007 Booster from Paytm within 24 hours. You need a minimum of Rs. 60 cash to transfer to your PayTM account. AppKarma Review: Should you Join AppKarma?